The C-MobILE demonstration at the 25th ITS World Congress featured interoperability between services deployed in the eight participating European cities and regions, using the City of Copenhagen’s existing C-ITS infrastructure. Starting on the doorstep of the conference centre, the demonstration offered visitors a 20-minute tour on the streets of Copenhagen in three vehicles provided by C-MobILE partners NeoGLS and Dynniq, and by the ATeam of the Technical University of Eindhoven. All day from 17 to 21 September, guests were treated to a complete scenario including activities and events, some real and some simulated, representing various innovative C-ITS use cases. Simulated events included pedestrian crossing alerts, wrong-way driver warnings, and road hazard/ accident ahead messages. 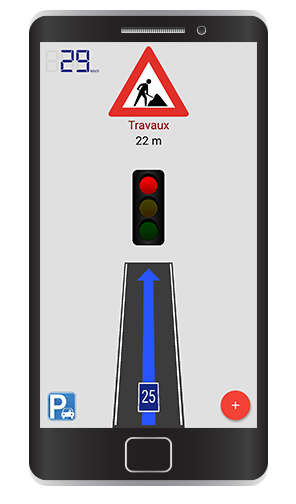 The embedded VMS capability (eVMS) provided in-vehicle replication of Variable Message Signs: a useful feature for any driver, especially on a stretch of road not equipped with VMS displays. Meanwhile, conveniently located roadworks outside the conference centre offered a perfect opportunity to demonstrate the road works warning feature with its precise location information. 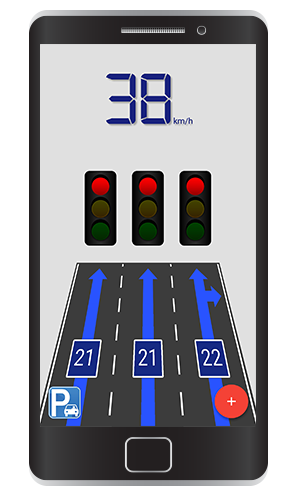 Further ahead, a series of traffic lights put the GLOSA capability on display, providing the driver with clear information on the optimal speed to keep in order to catch the next green light. The C-MobILE hybrid architecture used in the demonstration has been deployed by the city of Copenhagen and its service providers, and works by bundling a coherent set of C-ITS services within an integrated suite of applications. In addition to the C-ITS services on display during the live demo, participants could exchange with ITS experts during an exclusive Q&A session held on site in partnership with the CAPITAL ITS e-learning project. With its e-learning platform and transferability handbook, CAPITAL aims to give decision-makers the tools to implement ITS and C-ITS.